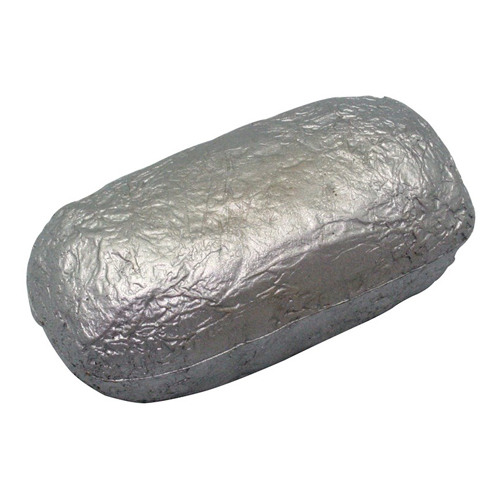 This foil wrapped food item stress reliever is the perfect promotion for restaurants, food trucks, or any establishment that lets you take your food to go! Products are not intended for use by children or pets. They may present a choking hazard to children under 3 years of age. Imprint Area : 2" x .75"